ProVent has taken on many challenging dust collection projects. Our ability to coordinate closely with our customers, representatives, sales and engineering team gives us an opportunity to be creative in our approach to difficult applications. 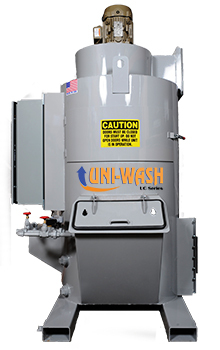 Despite our best efforts to offer a complete product line, sometimes someone contacts us with a unique dust application that requires a custom solution. 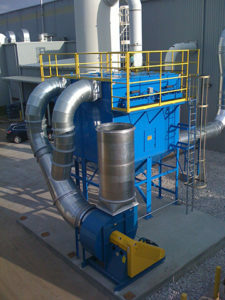 ProVent welcomes these challenges and has the expertise to deliver a dust collection solution that solves their problem. If you have one of these applications, contact us and see what ProVent can do for you. Custom Flood Curtain Booth wet dust collection system. Pictured above is a 60,000 CFM Intercept PV Cartridge Dust Collector built on a custom trailer. Feel free to challenge us with your dust collection problem.